If you are looking for shares and links, research suggests that manner and form of the content seems to matter almost as much as the content itself. There are some forms that, although popular amongst content producers online, do not really appear to get the attention that must have been desired. Meanwhile other formats undoubtedly hold the title for champion format. Steve Rayson at Moz Blog (moz.com) recently compiled data from a retrospective analysis of one million articles online, including articles for some of the world’s most popular media websites (like Pew Research, and The Economist). His conclusions are simple: most content is not being shared or linked, ‘listicles’ and videos are king and queen and, most surprisingly of all, long form content may be worth the effort. Now for the uncomfortable truth: for the most part it seems, online content producers may be wasting their time. Research suggests as much as 50% of content online goes virtually unnoticed. 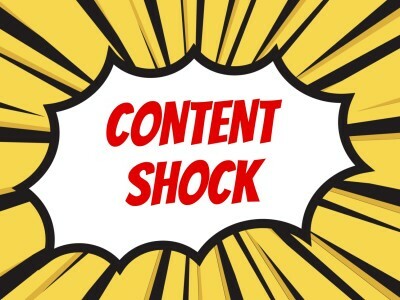 Mark Schaefer, author of The Content Code, offers the particularly grim doomsday diagnosis that we may be interacting with “content shock” – the point at which the human capacity to absorb information is capped yet the production of content is exponentially increasing. There is simply too much out there. If Schaefer is correct, then online content will go much the way of Hollywood: a few viral stars and many more struggling failures. The research compiled by Rayson appears to bear this out. According to Rayson’s research in a selection of 100,000 articles pulled from a database at random, around three quarters had less than 1 external link or referring domain link. This seems consistent with other more independent research conducted in this field. According to the data, looking at the database of one million articles compiled, 50% had less than three Facebook interactions and less than three Twitter shares. So then… what are you left to do? Chase the dream of a viral article? Accept that most of what you write will not be read, and hope for to strike link/share gold at some point? It seems part of the answer will lie in taking a sensible approach to format, as well as content. 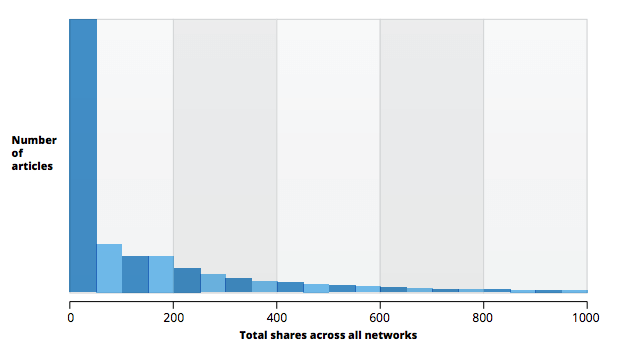 It seems obvious that the nature of a share is actually significantly different to the nature of a link. The average punter is obviously more likely to share than link. By the same token, long form content writers such as bloggers, are by their nature likely to link than share. Is there anyone that gets results in both categories? Apparently – yes. While it may be that for the most part that there is no real or significant connections between shares and links, Rayson suggests that what correlation there is, it is shown for highly shared and highly linked articles more than usually found through major publishers and news sites, particularly the long form opinion and editorial style content. That there appears to be some merit in the long form, opinion-forming content. Similar results are obtained for research backed content. We will return to this later (which will give the hungry journalists a chance to rejoice). These types of content aside, for the most part there does not appear to be any significant correlation between links and shares. One thing to note that isn’t covered by the research from Rayson is the extent to which the fame and clout of the author will impact upon shares and links. For instance, a New Yorker article authored by a popular comedian or famous social commentator may influence the number of shares and links, but that may not be fairly attributable to the format and may distort the averages. This is food for thought. If you have good material, then think long and hard about how you are going to deliver it. It appears the means by which you share your information is vitally important. The recent data suggests that the list article or “listicle”, is the most popular format for achieving shares and links. There are other formats that also deserve attention. Some content types however appear to be misleadingly popular among content producers but not too popular with the content-scrolling public. Just kidding – this ain’t no listicle, fool. But according to the research, if it were more people might be reading it right now. An article by the Guardian (18 human traits that explain why readers can’t get enough of BuzzFeed, 12 Feb 2014) suggests that there are some significant reasons that lists do so well. One reason axiomatically stands out: we love lists. According to psychologist Tomas Chamorro-Premuzic, “they produce a fake sense of logic and rationality, as if they presented a formulaic argument or tautology”. There are two other audience oriented factors to which Tomas draws attention: first, we are bored – and a list gives you the dopamine hit akin the feeling of Facebook notifications or the vibration of a text message in your pocket. Secondly, as pointed out by the Guardian, while we are bored we are also busy and time poor. Whether or not this is supported by the data is not certain, but it certainly has the ring of truth. Exactly how many points should be in a list? It seems to be idiosyncratic to the topic of the list itself, and depends on how long you want to spend writing it. “… according to some alarmingly in depth research … the most repeated Buzzfeed listicle lengths are 10, 15, 21, and 25. There’s also some industry hocus-pocus which suggest odd numbers do better”. However long the perfect list, it appears they are here to stay. As against the other formats, lists had the highest average total shares (over 10k per article), closely followed by videos, after which the numbers show all other content types falling far behind. Videos also do particularly well. While Rayson records average total shares per list reviewed as being 10,734, the same figure for videos was 8,572 (with the minor note that it appears there were slightly different sample sizes for each). The popularity of videos appears to be a trend that is not going unnoticed, particularly by niche entertainment markets. For instance, the talk show circuit of the United States, most dominated by The Tonight Show and The Late Show under the stewardships of Jimmy Fallon and Stephen Colbert respectively, have taken to ensuring that televised segments are able to be, and are, shared in the Facebook / Twitter sphere. The Tonight Show has nearly 10 million subscribers to its youtube channel, and with the ease of transferring across platforms, this translates into a lot of Facebook and twitter shares. “News and current affairs content always does well on Facebook, as users turn to social media to get the latest updates on breaking events. At #6 and#7 in the rankings for the most watched video creators on Facebook, we have two news sites, all generating views in the millions for their current affairs content”. Now for some of the poorer performers. The data suggests that you shouldn’t really bother with quiz posts, or why or how to posts, although there do appear to be times and places in which they are worthwhile. One matter to note is that why posts do appear to obtain relatively high domain link posts, although not so significant as to make these stand out above videos and lists generally. A surprising outcome of the research in this area suggests that were are divided in our approach to content absorption. First, we love lists, for their bite size, dopamine-releasing info-gasms while at the same time we enjoy the long form content that seems more akin to newspaper content than what one would expect from the online world. The full report of Rayson’s research suggests that the best performing content comes from ‘comprehensive and evergreen’ sources of content, such as serious publishers and news sites. This fact may stand behind some of the explanation of the shares and links. This is good news, in a way, for the traditional media. Sites and organisations that have a significant amount of long form content that can cheer at this point. Consider the fact that news sites and publishers are in the trade of long form content – that is what they do best. While bloggers are also in this trade, media sites have more clout and popularity coming into the game. They also have more human power to churn out content – to stay “evergreen”. 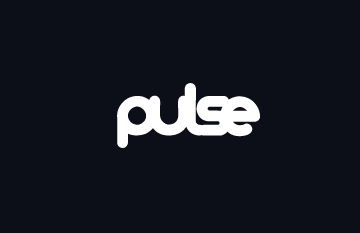 This gives them a distinct advantage over the smaller content producers in the social space. That is not to say that there is no room for the little guy – only that the big guy has a head start. Even if you are not a heavy hitter in the media world, you can still learn a lesson or two from the above details. Most importantly, resist the impulse to post frequently at the expense of research rich and word lengthy writing. This, it would seem, is what people actually want to share and link. Rayson points to the stat that 85% of articles that were reviewed in his research were at a word count of 1,000 words or less. Writing less than 1,000 words seems to be the wrong way to go about doing things. Data compiled elsewhere would appear to support this hypothesis. In research conducted by Serp IQ, the top rated content posts produced in response search queries were typically long form as compared to their short form counterparts. This may provide a causationary feedback effect wherein more shares and links will lead to a higher search ranking, and a higher search ranking will lead to more shares and links, although this hasn’t been addressed by the above researchers specifically. Data compiled and analysed by Quicksprout also supports this proposition, suggesting that research on search behaviour shows that year on year we have been searching longer and longer phrases, but also searching more compound phrases. The relationship with content is, that as content expands so too does its propensity to include longer word phrases which form the subject of searches. 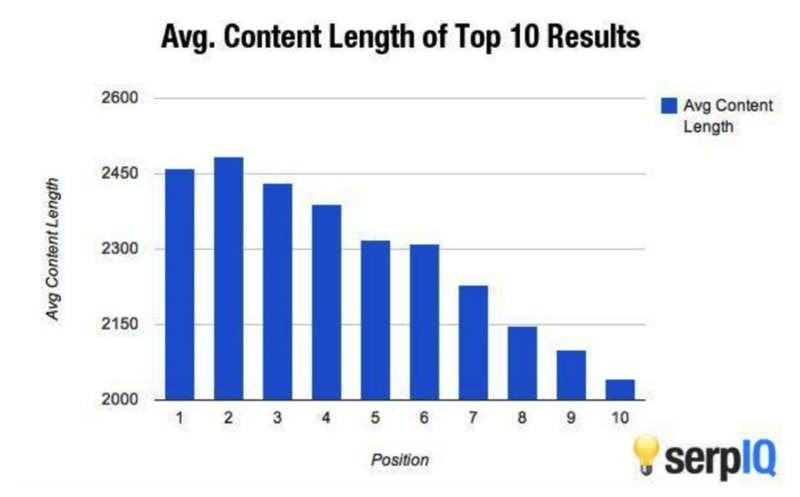 The more long form content you have the higher your SEO. According to Gina Hwang at addthis.com, the best time of the day to publish content to social media depends on the platform. While Hwang suggests that Facebook posts do better on Tuesday and Wednesday evenings around the world, data compiled by Niel Patel at Quicksprout.com suggests that peak engagement actually occurs on Thursday and Friday as people enter the weekend with more positive and happy content being shared and engaged with on Friday specifically. According to Patel, to get the most shares on Facebook the best time of the day to post is 1pm in the target time-zone, right when people are on lunch from work. However, for Twitter it is suggested that the best time to tweet is 5 pm, when people are leaving the office. Another tip from James Parsons at Inc. is to post your content several time to the social media platforms. This is one that will require some sensitivity and understanding of the policies of each of the sites, as each has different rules on when and how often you can post the same content. Facebook is more restrictive than Twitter, with the latter allowing re-tweets of the same content in the same day. So most importantly pay attention to the format, and if you can go lengthy and researched on content – not short. It turns out that once you have someone’s attention they are willing to give you their friends. 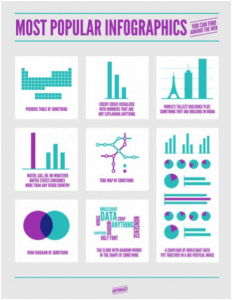 When you are researched, you are more likely to be linked. It all sounds like a meritocracy all things considered. But if you can throw some videos in there for good measure, that may be a good idea too. Oh, and some lists, such as “10 best ways to conclude a lengthy editorial”.